The front view of Hotel Triangle located in Makenke, near Mbarara town. 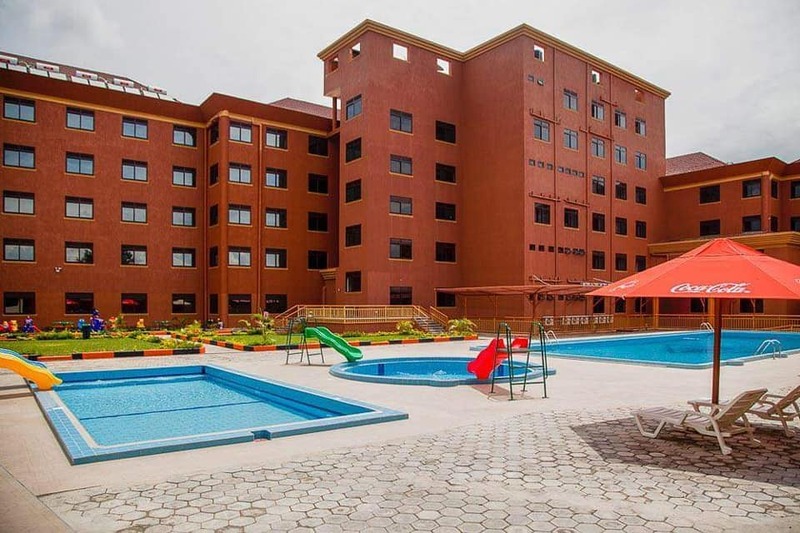 District leaders in Mbarara have welcomed renowned business mogul, Hajji Mutaasa Kafeero’s latest investment in Mbarara municipality – a state-of-the-art hotel – as a positive development that will boost the local economy. Kafeero’s Hotel Triangle, located in Makenke cell in Kakiika Division, Mbarara municipality was officially opened on Saturday by Minister foe Tourism, Prof Ephraim Kamuntu who represented President Yoweri Museveni. Speaking to Mbarara district Chief Accounting Officer, Cuthbert Esoku, he said the 5-star hotel will be a value addition to Western Uganda. The beautiful infrastructure has approximately 106 rooms/suites, large and medium Conference halls, lounges, 3 swimming pools, gardens, children’s play area and enough parking spaces. Esoku added that it will enhance tourism and address the gaps in descent accommodation gaps in Mbarara. “Since Mbarara is a stopover point for many long distance travelers heading to Rwanda, DRC and national parks like Queen Elizabeth, Bwindi, Mugahinga, Lake Mburo and Mt. 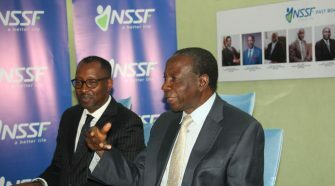 Rwenzori, their needs will be catered for now,” Esoku told SoftPower News. He added that the tallest hotel in Mbarara will provide jobs to 200 people and support many business products to the Ugandan population. 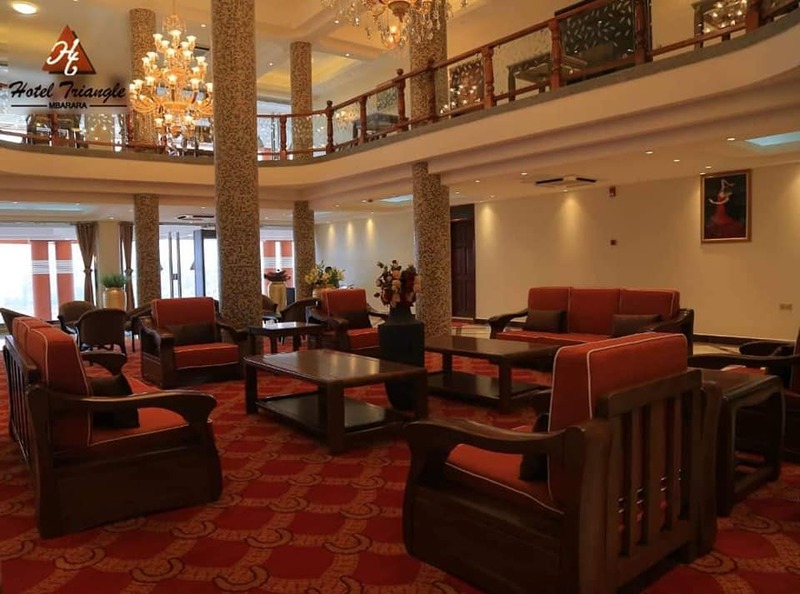 On his part, the Mbarara municipality Mayor, Robert Mugabe Kakyebezi says the magnificent hotel signals an economic boom for a soon to become city. “Actually, I usually laugh at those who say that Mbarara is not going to be a city, and that it is not developing. They should come and see what is on this hill now,” the Mayor said. “I think it will be in history and a legacy to me that during my regime Mbarara became a city,” added Kakyebezi. James Arinaitwe, the Chairman for the boda boda cyclists within Mbarara municipality noted that the development is positive for the transport sector, particularly those involved in the boda boda their business. 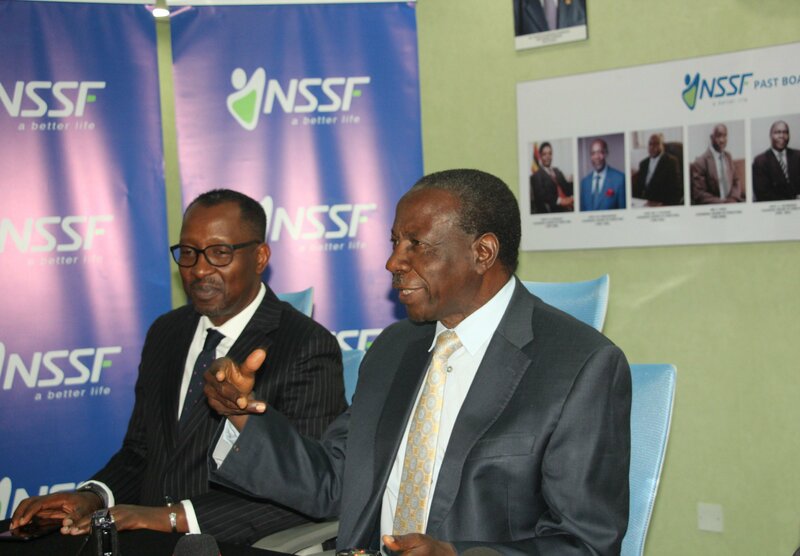 While opening his modern hotel on Saturday, Hajji Kafeero appealed government to give tax exemptions and tax holidays to local investors whose ventures have contributed greatly to the growth of the economy. “You may be surprised to find that some of us are not given tax holidays and tax exemptions. I have invoices of Asian friends who have been supplying us things, they don’t pay tax. you find an invoice has ‘Income Tax Exempted,’ yet he has a little shop selling few things,” he said. 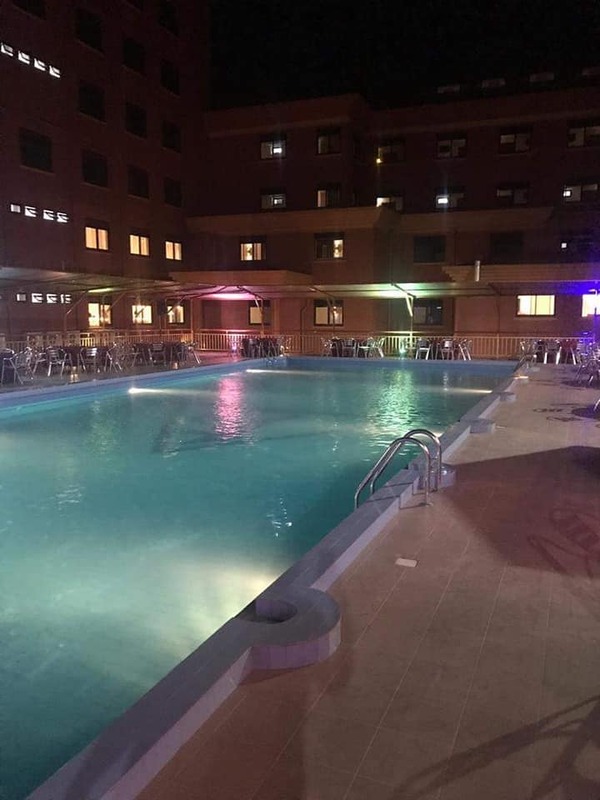 Hotel Triangle now adds to the growing number of recreational and accommodation facilities that line the stretch between Lyantonde and Mbarara towns. 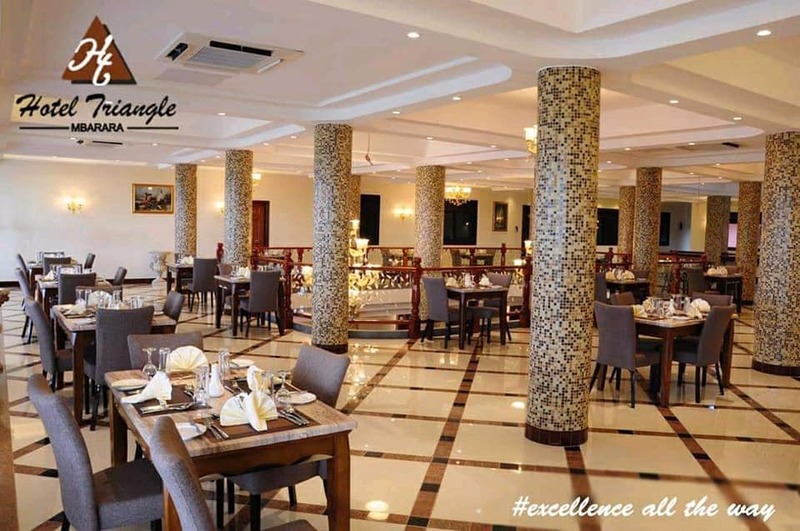 The most recent ones include Ingongo cultural centre in Biharwe, a few miles to Mbarara town, and Courtyard International Hotel which is situated just after Lyantonde town. The Kampala – Mbarara road route is a gateway to some of Uganda’s most prized attractions including the mountain gorillas in Bwindi national park, Lake Bunyonyi in Kabale, Queen Elizabeth national park, Lake Mburo national Park among others. On top of providing accomodation and other services to travelers, such facilities contribute to the entire value chain of economic activity – from providing market for agricultural and livestock products, utilities like electricity and water, transport services, taxes, entertainment related services and job opportunities. Hajji Mutasa’s wealth is estimated at a total of US$ 20 million. The businessman who among other properties owns the popular Mutaasa Kafeero Plaza and Zainab Azia Emporium in the Kampala central business district hails from Bushenyi.